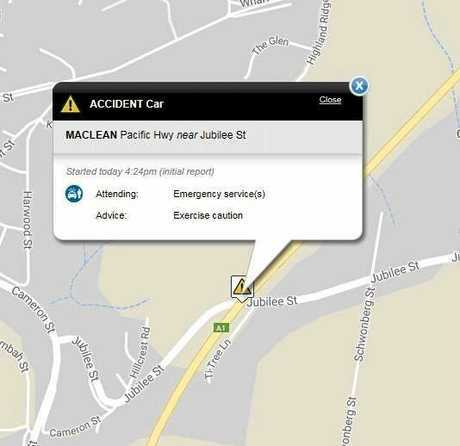 UPDATE 10PM: THE Pacific Highway has been reopened to traffic following a head-on collision at Maclean this afternoon. Following crash investigation unit examination of the scene, the vehicles were removed and the highway cleared of debris, reopening the highway just after 9pm. Police are in the process of making contact with next of kin of the two deceased tonight. UPDATE 6.30PM: AT LEAST two people died following a multi-vehicle crash on the Pacific Highway at Maclean late this afternoon. 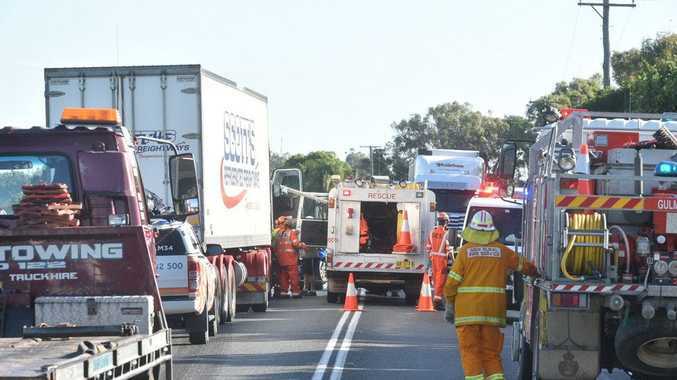 Coffs/Clarence Local Area Command duty officer Inspector Jo Reid confirmed two people were killed in the collision, which happened about 4.24pm near the intersection of the Pacific Highway and Cameron St in Maclean. Traffic is still backed up for more than 2km, with the highway still closed in both directions. Unconfirmed reports suggest the highway could be closed for hours. Police crash scene investigation teams are on the scene. UPDATE 5.30PM: It's feared at least two people have died in a two-vehicle collision on the Pacific Highway near Ferry Park in Maclean this afternoon. The highway is closed in both directions, with traffic queues of more than 2km in the area. 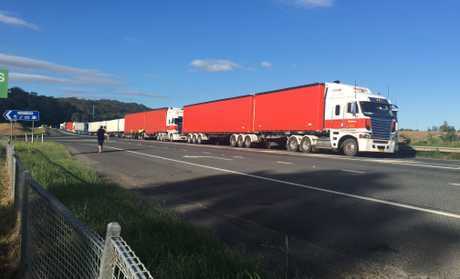 Live Traffic NSW is advising motorists to use Summerland Way and Bruxner Highway as an alternative route. According to a Westpac Life Saver Rescue Helicopter spokesperson, the helicopter was tasked to the multi vehicle collision near Maclean and landed in the nearby Maclean Showground. The critical care medical team have been road transported to the scene to assist road Ambulance Paramedics. One patient was stabilised and flown to the Gold Coast University Hospital, the condition of the patient is reported as critical. A NSW Ambulance spokesperson said ambulance crews were called to the two vehicle collision on the Pacific Highway at Maclean at about 4.20pm. "Five patients were involved in the accident with two patients trapped," the spokesperson said. "The patients have been treated on scene by paramedics and are being transported to Lismore Base Hospital." A police crime scene investigation team is en route to the scene. 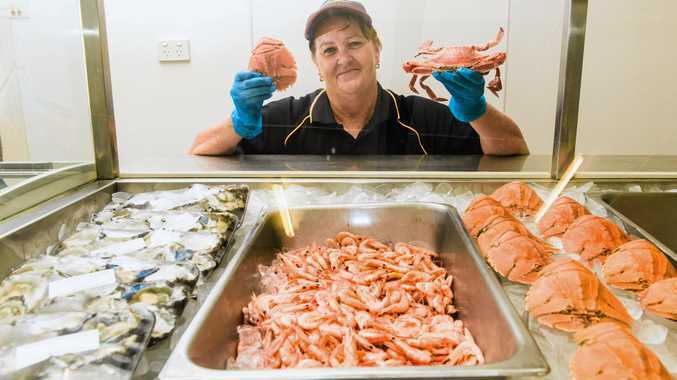 Unconfirmed reports indicate the Pacific Highway could be closed for up to six hours. EARLIER: THE Pacific Highway is closed in both directions after a motor vehicle accident around 4pm just south of the Ferry Park Maclean turnoff. Traffic is reportedly backed up from the intersection back to Sheehans Lane as a result of the crash, and cars are being diverted through Sheehans Lane from the south. Police, Ambulance and SES are on the scene of the crash.